What do you think about all winter long? 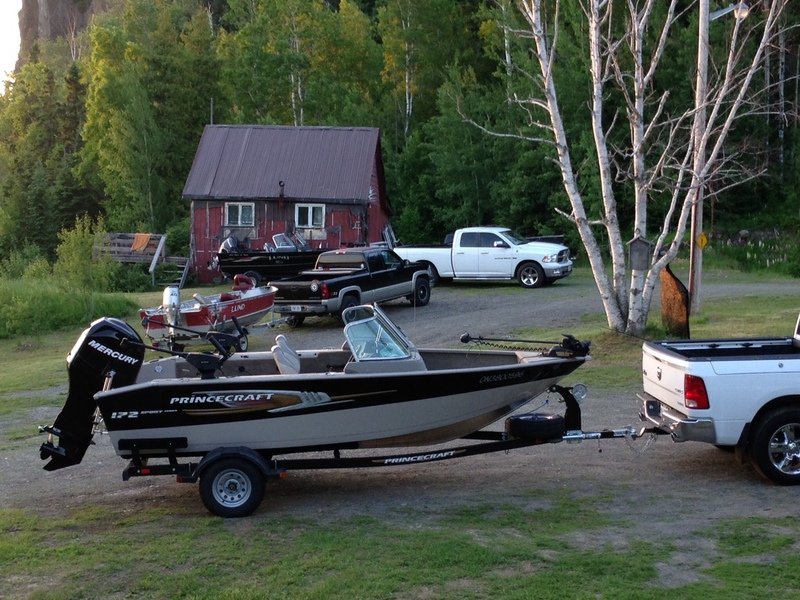 Is it fishing and hunting season, along with the great trips enjoyed with friends? Nothing beats gathering a group of like-minded hunters or anglers and heading out on a getaway that you’ve looked forward to all year. There are two great options to choose from: American and Housekeeping plans. Each option provides different benefits, and can impact and add to the enjoyment of your lodge or resort stay. 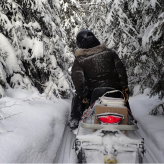 There are various styles of trips you can choose from, but nothing beats showing up to an lodge, resort, or outfitter’s which already has a lodge, cabin, and/or boat ready and awaiting your use. 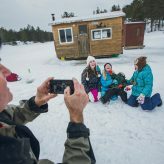 This allows you to explore many different locations and destinations, all while enjoying the feeling that you’re in your very own camp or cottage. Photo provided by Mathew Koprash. American plans are the best way to go on an adventure as they often allow you to take full advantage of the phenomenal fishing, hunting, and outdoors opportunities available to you. Hearty meals await you in the early hours of the morning and lunches are packed to take on your travels. 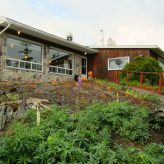 A highlight will be dinner awaiting your arrival on return from the water or woods in the evenings. You won’t go hungry at any time during your stay. The author enjoys lunch at American Plan fly-in lodge, Air Ivanhoe. Photo: Martin Lortz. Keep this in mind when planning your trip, as the added expense of the American plan can be quickly justified. Taking in the view from their personal cottage. Photo: Martin Lortz. Housekeeping plans are another excellent option that allows you to control all your meals and supplies. For those that enjoy cooking and setting their own schedules this is the plan for you. 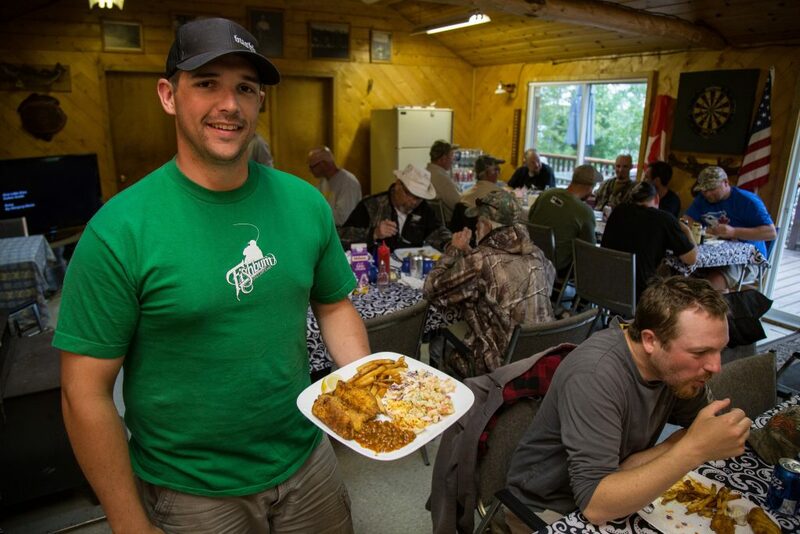 You are still able to enjoy all the benefits of the lodge including fishing and hunting, but at your own pace and on your own schedule. Be prepared by making a grocery list early on, and consider bringing a crockpot to provide yourself with a warm meal at the end of a full day outside. If it’s not included, a coffee maker should be on your list as well, as it doesn’t hurt to ensure you have your morning coffee just how you like it! Other items often required for a housekeeping plan include food, drinks, pillow, linens, and toiletries. And of course, don’t forget your rod, reel, and tackle. The best practice is to check with your lodge, resort, or outfitter to see what’s provided, and what you’ll need to bring yourself. Lake Nipissing. Photo: Martin Lortz. Fishing gear should include at least two fishing rods; a spinning and baitcasting combo for techniques such as jigging, finesse presentations, trolling, and casting larger baits. These two set ups will provide you with the versatility to manage all species and techniques you encounter. As for tackle, one to two Plano 3700 Series storage boxes loaded with an assortment of your favourite lures works best. Quite often a jig and minnow is all that you really need, so a healthy supply of jigs in the 1/8 to ½ oz. range should do the trick. If live bait is not available or permitted, soft plastic minnows like Berkley Gulp! are a great alternative. Lake Nemegosenda. Photo: Martin Lortz. 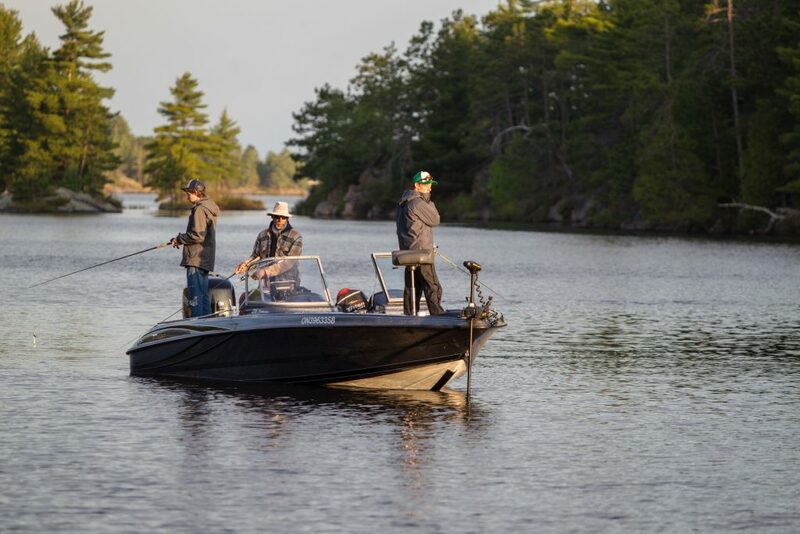 Northeastern Ontario is home to thousands of lakes, rivers, streams, and even salt water coast, meaning you have plenty of options to choose from when deciding where your next fishing getaway will take you. 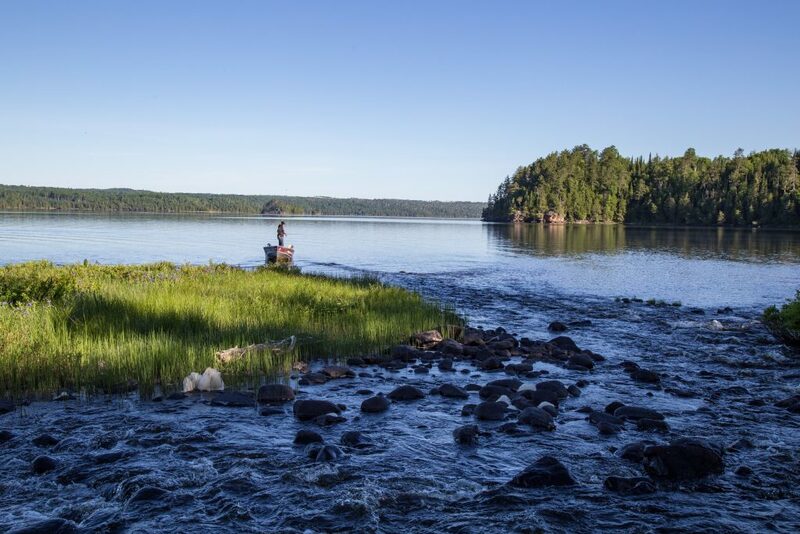 Whether you’re targeting walleye, northern pike, lake or brook trout, musky, small or largemouth bass, salmon, or something else – we know a lodge! No matter the style of trip you go on, you’ll have an unforgettable experience that you will want to repeat every year – and sometimes every season. Nothing is better than booking a week or two of holidays and heading out with one thing in mind – enjoying the Great Outdoors through fishing and/or hunting. For me personally, these are the best ways to escape from my daily routine and unwind. The relaxation and sense of freedom that overcomes you by the end of the trip will leave you completely recharged, and looking forward to next season. 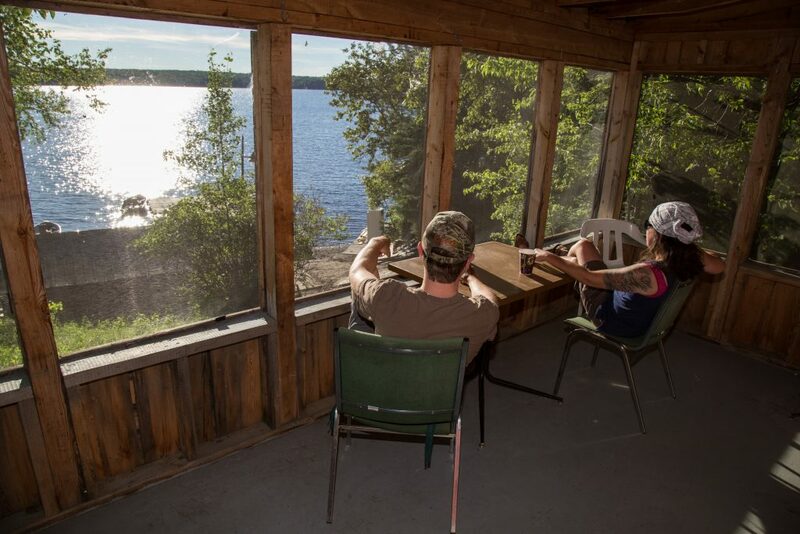 No matter your skill level, destination trips to a remote lodge in Northeastern Ontario are a great choice for hunting and angling enthusiasts. 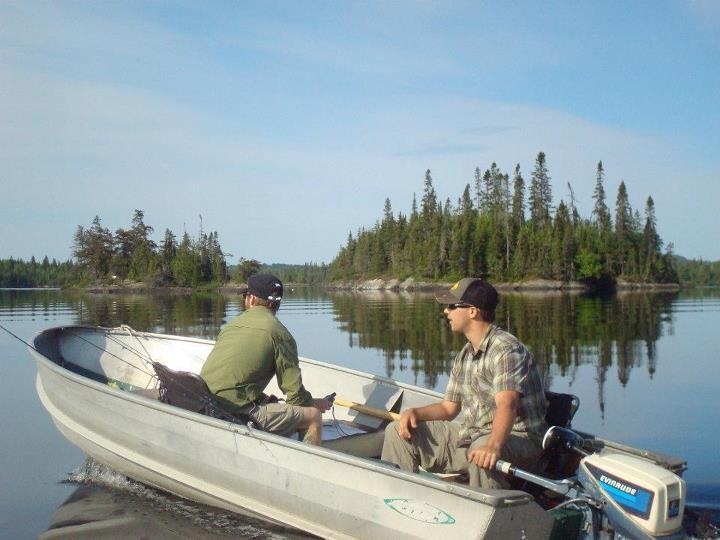 An endless selections of pristine lakes and waterbodies are available for exploration throughout the region, and an expert outfitter (fishing or hunting) can provide access and guidance to target your a wide variety of fish or game. Walleye, speckled trout, lake trout, musky, northern pike, large and smallmouth bass, moose, bear, and whitetail deer can all be found in our region, and are available to target.